The ruling Justice and Development Party (AK Party) is ready to prove serious irregularities that may change the election results in Turkey's largest city Istanbul, the party's Provincial Chairman Bayram Şenocak said, as unofficial election results announced by the electoral board stated main opposition Republican People's Party (CHP)'s candidate Ekrem Imamoğlu is leading with 25,000 votes. "Some of the ballots voting for Binali Yıldırım were wrongfully recorded as if they were cast for CHP's candidate Imamoğlu. 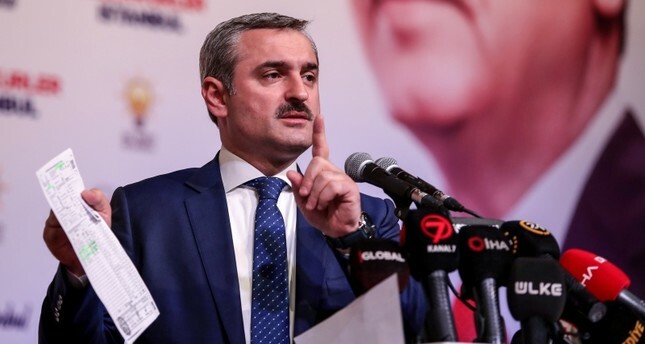 There are serious irregularities that may change the election results and AK Party is ready to prove them all," Şenocak told reporters at a news conference. He continued by saying that it is evident that the void votes will significantly alter the results.